Please, check on arrival the information screens about the check-in desk designated to your airline and flight. Is highly recommend while you are waiting for your flight to watch out this information due to possible last-minute changes gate changes or modifications on the scheduled departure. On the information screens you can see your flights, listed according to the time of departure, flight numbers and airline companies, the destinations, the counter where you can check-in your luggage and the corresponding departure gates, if already assigned. After the check-in of your luggage at the corresponding counter, you will receive your boarding pass, which indicates your departure gate. With the departure time approaching, the departure gate does also appear on the information screens. Please don't hesitate to contact the staff at the information desks and at the check-in counters, in case of any doubts. It is necessary that you arrive to the airport at least two or three hours prior to your flight, in order to check-in your luggage and pass the security controls. Keep in mind there could be many people during holidays or in special days. You should always observe the monitors or information panels with regard to the check-in counters and the boarding gate corresponding to your flight, as there may exceptionally occur last-minute changes. Please remember that departure gates are accessed through the security check, located in the departure hall of Terminal T3. In case of congestion of the terminal, the access to terminals T1 and T2, which are currently closed, can be easily opened to the public. To avoid queues at the time of airport check-in, many companies allow online check-in in advance, from your home, office or mobile device. Besides, some companies have installed self check-in machines in the airport. Please make sure that you carry all of your belongings with you before leave the check-in counter: personal documents, boarding pass and ID or passport. Once you passed the security control -for necessary documents and prohibited items in hand luggage-, please head to the corresponding boarding gate. For more information about the location of the Departure gates, please consult the site about terminals at Málaga Airport. Avaliable 24 hours before the flight departure time and closes 2 hours before. This system confirms the assistance to the flight to the airline and in most cases the passenger can select the seat on the plane. Visit the website of your airline and identify yourself as a user. Sometimes you can enter the flight code or locator and surname of the passenger, then following the instructions on the company's check-in online. You can then print the boarding pass. It is a page that contains the flight information and passenger's essential to be able to board the plane. If the company allows and your phone has internet connection, you may also receive this information in your mobile (TEM). 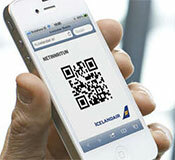 The mobile boarding pass is a image with a 2D code that contains all the essential data of the flight so you can be identified in a readable form. In the last step of check-in online the company-if you have the necessary infrastructure-will to choose between it and / or traditional boarding pass. On certain occasions, some airlines carry out an operational check-in for cruise passengers who arrive in Málaga by plane and who are traveling on cruise. The procedure help them to check in their luggage at the airport and be transported to the port (or vice versa). Please ask your airline about this service. 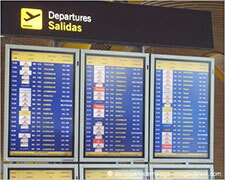 At present, terminal T1 of the Málaga-Costa del Sol airport is currently closed to the public. 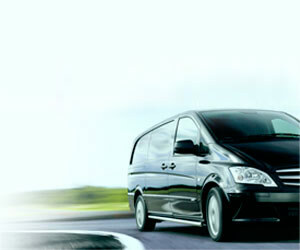 However, it can get started as soon as the passenger volume is big enough. 75 desks from 201 to 275. Access to the security control is usually on terminal T3 level 1, not terminal T2. As a safety all passengers must go through security checks before entering the boarding area, and on certain occasions, before boarding the aircraft. It is a common process at all airports crossing through a metal detector. Also, the security staff can order the user to remove the shoes and take out bulky clothes. Hand luggage and everything you carry will be verified through an X-ray machine. Staff will ask you to deposit the items carried on trays placed for that purpose. laptops and tablets should be removed from their carrying cases. Devices batteries must be sufficiently charged, at least to can be start. Access to the boarding area is usually on terminal T3 level 1, not terminal T2. T2 level 1: boarding gates B11 to B18, and gate B20. T2 Mezzanine: boarding gates B24, B26, B28, B30. T2 level 0: boarding gates B32, B34, B36, B38. 86 desks divided into two areas: from 301 to 362, and from 363 to 386. Terminal T3 boarding gates are located on Module C -with 7 fingers-, and Module D -with 10 fingers-. You can also access Module B terminal T2 boarding area from this place. T3 level 1 - Module C: boarding gates C31 to C40. T3 level 1 - Module D: boarding gates D42 to D68. General Aviation Terminal doesn't have check-in desks. It has an Departures area on level 0 with customs and passport control. About the necessary travel documents and about the formalities at your arrival at the airport destination at aeropuertosenred.com.